Nobody saw it coming, which is surprising given how CO2 is an integral component of food production across multiple sectors. An input used on a massive scale that had never before shown signs of supply limitations, and therefore not contemplated as the route by which British food production could grind to a halt. 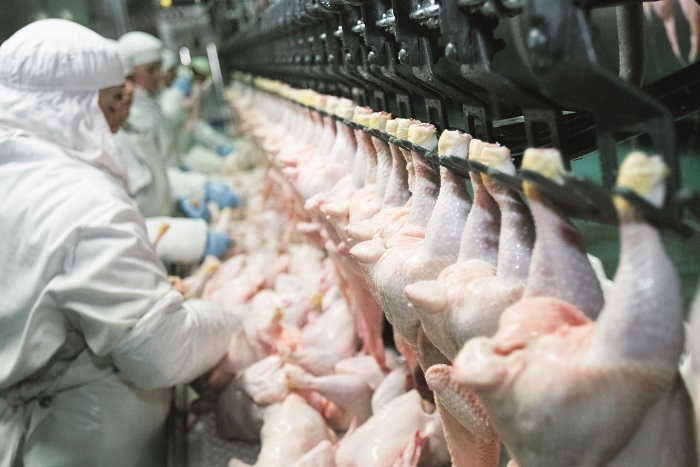 Unlike in the pig sector, no plants have been forced to close, and according to the British Poultry Council, none of the 20 poultry processing plants in the UK are likely to have to. Other products were affected though, from beer to fizzy drinks and even crumpets. The BPC’s chief executive Richard Griffiths says we are hopefully moving towards a conclusion of this crisis. “We still await confirmation of when CO2 production will be fully up-and-running and normal levels of supplies will resume.” Three weeks is the time scale many in the industry are working on. If it goes beyond that, closures may be inevitable. The initial shortage, caused by the routine summer closure of the ammonia plants around Europe that manufacture fertiliser of which carbon dioxide is a by-product, was compounded in the first week of July by a power outage at one of the only remaining plants based in Cheshire. With poultry half the meat the UK eats, if sites do run out of CO2 the impact of not being able to slaughter and process birds will quickly lead to supply problems and the need to hold birds on farm, with the welfare implications that presents. The British Veterinary Association (BVA) were quick to highlight the welfare risk, but so far, it hasn’t materialised. Griffiths points out a great deal of praise is due for the professional and unified manner in which the meat sectors and Government departments have worked over the last weeks, but it begs two questions: why didn’t we see it coming, and are we prepared for the future? “The first perhaps needs some time for reflection and analysis, and the second should surely be a wake-up call for British food security,” he says. A shortage of CO2 is just an illustration, indicative of the integrated nature of food supply. One thing going wrong has the potential to jeopardise the choice and amount of food that reaches our supermarket shelves. Our just-in-time model makes food cheap, easily accessible, and normally it flows perfectly well. But when things go wrong, it’s tested to its limits, and cracks very quickly start to show. “It also, so far, demonstrates the resilience and robustness inherent in both our production chains and our people. If some similar shortage happens in the future when the movement of goods, services, and people is limited then our current getting by could very easily turn into catastrophic failure,” says Griffiths. This situation also shows the scope of sectors that are part of food supply. Farmers have always been proud to be food producers, but what about gas suppliers, machinery manufacturers, Government regulators, and the plethora of skills and services that we rely on? Do they see themselves as integral to feeding people? If not, they should, and they should be proud of it.